Here at Language Australis, we are a team of the most credible translation specialists who not only provide our clients with authentic translations, but the best quality work and prompt results at competitive prices. Our Turkish translators are the best in the business. They are qualified translators and can translate documents for all businesses, organisations and individuals while producing the most accurate results, every time. 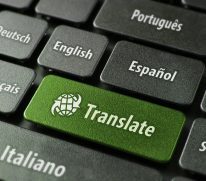 Being able to find a trustworthy translator who can accurately translate a document while maintaining the integrity of the original documents can be difficult, but with Language Australis you can be assured that your translations will be performed by linguists accredited by the National Accreditation Authority for Translators and Interpreters (NAATI). You can be assured that you are receiving the most authentic translations when choosing Language Australis as all of the NAATI-certified translators are native speakers of the Turkish language. We engage with translators who also have experience in a number of fields such as commerce, businesses, medicine and law so you can rest assured knowing that no matter the subject matter of the original document, you will have accurate and linguistically correct translations. With our extensive team of qualified translators specialising in the Turkish language, we are able to help you in translating information such as court documents, birth certificates and business data to deliver the most accurate translations. If you require an experienced Turkish translator who has a comprehensive knowledge and understanding of the industry and who is NAATI accredited, then the team at Language Australis can help. Before thinking of having your documents translated by Turkish translation specialists, it is useful to know a little about the language itself. Turkish is a Turkic language spoken by around 70 million people mainly in Turkey, where it is the official language, Cyprus and Kosovo. Until 1928, Turkish was written in a Perso-Arabic script, also known as the Ottoman Turkish script. In 1928, Mustafa Kemal Ataturk, the founder of the Turkish republic, ruled that the Turkish language replace the Perso-Arabic script with a version of the Latin alphabet. Good Turkish translators have a solid knowledge of the modern Turkish alphabet while some knowledge of the Arabic script is an advantage for their translation work. Turkish is a phonetic language, meaning that it sounds the way it looks; it has 21 consonants and 8 vowels. While Turkish roughly follows the Latin alphabet, it does not contain the letters Q, W and X. You’ll find that the Turkish translation specialist replaces them with K, V and KS respectively. Not to get too technical, the Turkish language applies agglutination to its root words. Agglutination means the attachment or gluing of suffixes (small words) to the end of the root word. An English example would be wellness. Adding suffixes to suffixes is common in the Turkish language. Consider that when a Turkish translator is translating from English to Turkish they may reduce a handful of English words to one long Turkish word. A common challenge for Turkish translators is to maintain balance in their translation work and ensure that they don’t end up with overly long Turkish words that might then require hyphenation. A good translation service will make sure that the Turkish translator has access to the final artwork and can, if required, alter the Turkish translation accordingly. The widespread use of Turkish across Central Asia and the Balkans and its commercial links make Turkish translations highly sought after.